We offer FREE consultation, so please feel free to make an appointment to see our friendly and highly experienced doctors. We would be able to inform you the price after assessing your physical condition and learning more about the outcome that you desire. Each treatment plan will be tailored to your own requirements. Treatment options will be discussed with you in a clear manner. For example, to reduce face wrinkles, possible treatment options that are available in our clinic include Botulinum Toxin, dermal fillers, threadlift, Ultherapy, long pulse Nd:YAG laser or chemical peel among many others. Our experienced, friendly doctors will put you at ease by discussing with you the most suitable option based on your current skin condition, results that you expect, number of session and downtime that you can accept and your budget. Premier Clinic’s prices are competitive without sacrificing quality and safety. We only use the best quality machines, injectable products and skincare range to give you the best possible results. Yet, they are still affordable. Besides the individual procedures below, you may also consider Aesthetic Programs specially designed to address your aesthetic concerns. Our Premier Aesthetic Programs are combinations of the best treatment options to help with your aesthetic needs. The treatment options are planned in specific sequences and timings to give the best possible outcome. 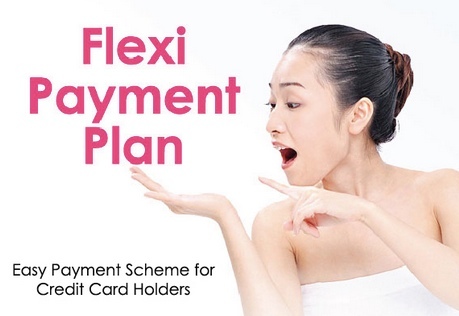 Our clinic offers 6, 12 and 24 months instalment easy payment scheme for most local credit cards issued by Malaysian banks. You can view more details about the credit cards which offer the flexi payment at the end of this page. For more details, please call / SMS / WhatsApp us at +60-12-662 5552 (TTDI / KL City / Bangsar Baru / Mont Kiara / Puchong branch) contactable daily from 8am – 12 midnight. Remarks: Minimum RM500 charge for 6 months plan. / Minimum RM1000 charge for 12 months plan. / Minimum RM1500 charge for 24 months plan. Crystal Tomato Plus ‘Plus’ version is not available from pharmacies. Higher dosage and more effective. Oral Gluthathione + Vitamin E Capsule Safe with no side effects. Approved by Ministry of Health.